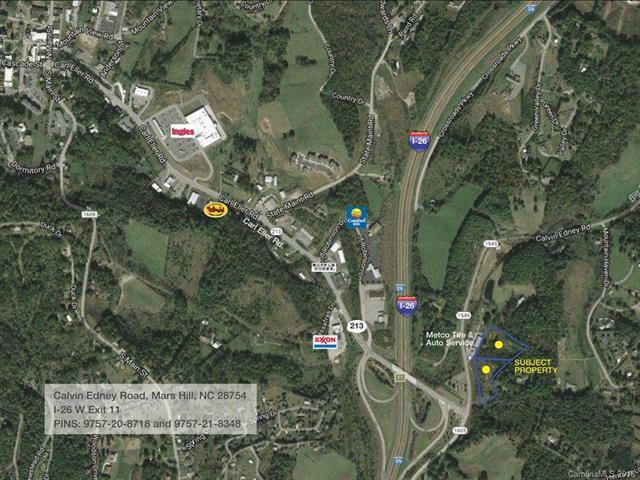 Great location off Exit 11 (Mars Hill) off of I-26 W. Two parcels with approximately 5.75 acres. Ideal for hotel, restaurant, truck stop with interstate exposure. NC DOT has future plans for nearby road that will increase traffic and access. Zoned Highway Business. Owned by licensed NC real estate agent. Property consists of 2 parcels: 9757-20-8718 and a portion of 9757-21-8348.